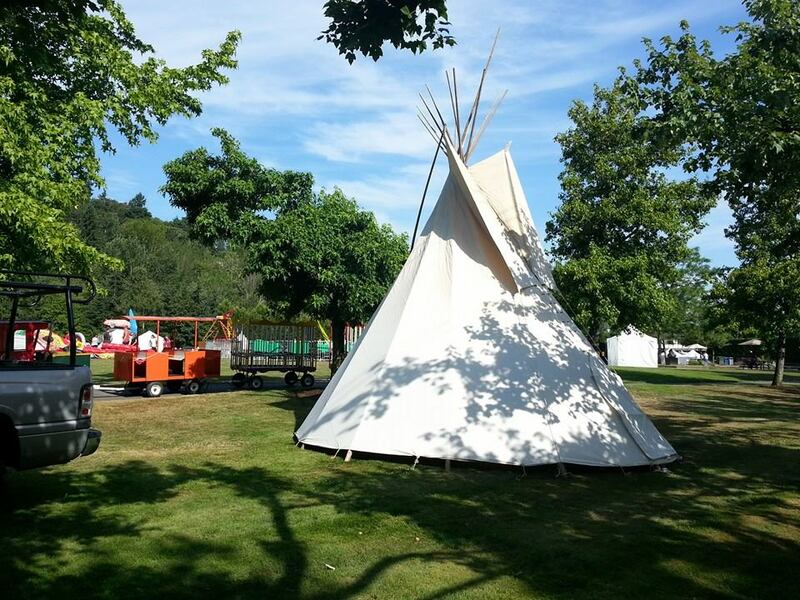 This tipi made an appearance at the Mercer Island Summer Celebration. Love the children’s train going by. © 2019 The Tipi Guy.